Sometimes, it can be quicker and more expressive to simply patch together what you want from basic building blocks, rather than wrangle with something built for a specific purpose. And that explains the ongoing appeal of modular software environments. Audulus is an elegant, efficient modular environment on the Mac. It’s not as deep or broad as some alternatives, but it does bring a range of ideas to making these features easy to use. And now, it’s coming to the iPad. That’s significant for several reasons. First, it could be one of the nicest modulars to grace the iPad, for people looking for touch interfaces to do such things. Secondly, it’ll have a round-trip workflow with the Mac version. So, for those of you who see iPads as a companion to a laptop, rather than a placement, using the two in harmony could work nicely. CDM has an exclusive first look at the video demonstrating the UI. Since it’s easier to see these features than listen to me talking about it, I’ll let your eyes have at it. 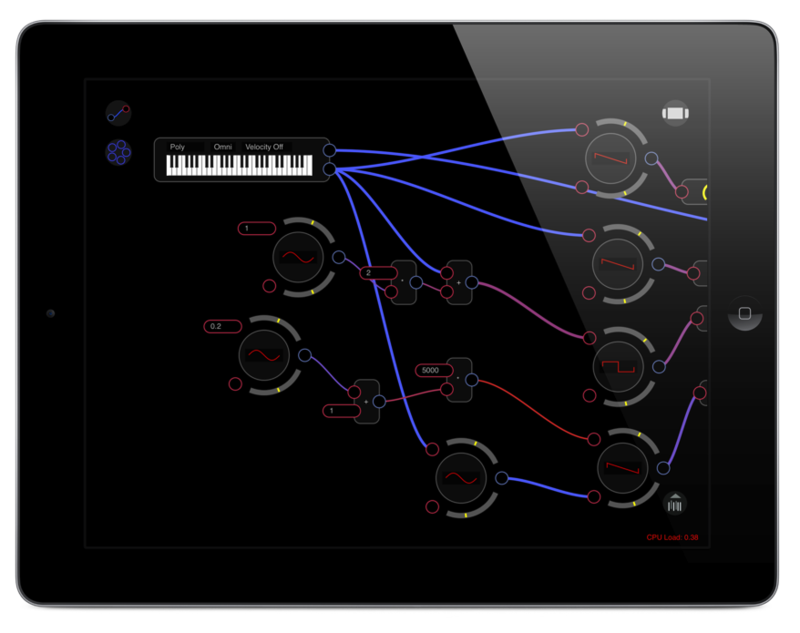 Audulus, looking quite nice on iPad. Click for the full-sized version. Courtesy the developer. There’s a nice patch browser for flipping through your patches, with big previews. The usability and workflow features look great (with tools like iCloud, even if I prefer Dropbox). This one will be nice to try. It’s a shame I’m stuck on the first-generation iPad, but I think a lot of us in that boat will be watching Apple closely this week.